- Follow-up activities with workshops, contractors etc. All port CFS fascilities for import and export provided. Port handling includes local movement of Import and Export cargo within the port premises. Port Handling also involves receiving, shifting, loading, unloading, storing and dispatching all your Import and Export shipments with total safety and care. MFC Transport Pvt. 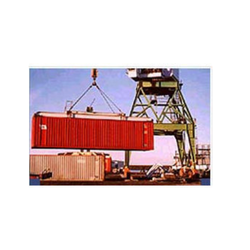 Ltd provides efficient port handling services in India and abroad. A Connectivity that seamlessly and efficiently webs the needs of the various industries, their supply chains and their valuable product for quick and reliable distribution. What can meet this more than MK Technology Park with its unique 'Centre of the Hubs' location, making it the ideal connection for all directions!